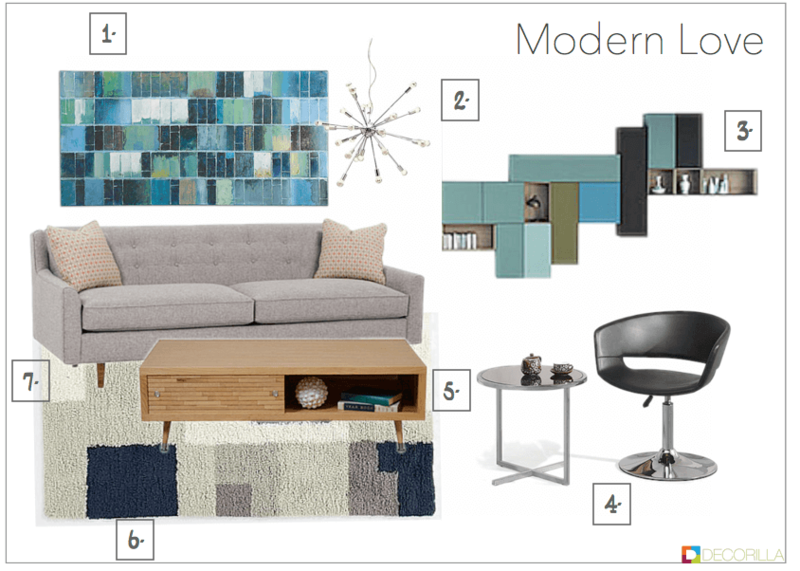 We often use the words “modern decor” and “contemporary decor” interchangeably when it comes to design and art. The truth is, these styles have their unique set of characteristics that give them their own identity. Rooted in German Bauhaus School of Design and Scandinavian influence, modern decorating style was defined in the 1920s-1930s by it’s streamlined appearance, affinity for asymmetry, and attraction to glossy surfaces. Today we find these elements to hold fast in interiors. We still swoon over natural materials like leather, teak, linen and appreciate the clean, unadorned look that makes a statement. When it comes to artwork or decor accessories, bold pieces that highlight form and geometrical elements are best in modern rooms. Sharing the characteristics of all other elements of modern decorating style, lighting is both useful and geometrically designed. The iconic Arco floor lamp and more bold Sputnik chandelier are prime examples of fine form and function. 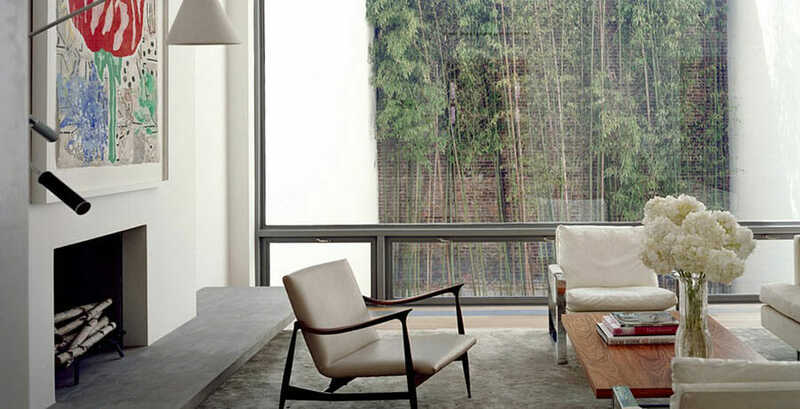 Less is more in modern style; keeping a space organized and open is key. 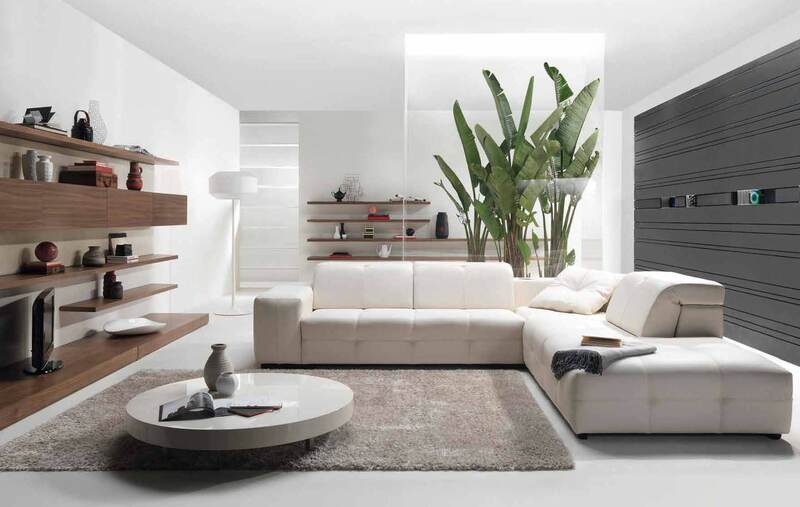 To create a clean, unadorned design, select furniture pieces that are functional and have simplistic beauty. Typically, smooth surfaces on floors, walls, and furniture are essential to modern interiors. Furniture items with polished metallic shine like chrome and stainless steel are popular favorites that add a wow factor. Whether in flooring finishes or furniture, wood plays a role in modern design.Mid-century modern pieces in particular, use wood as an essential material. Smooth and natural in color, the furniture is timeless. In general, the modern color palette favors neutral shades in order to make the decor pieces more prominent. While modern decor style traditionally sports bare floors, coverings are used as well. A rug with muted, soft colors anchors the modern design space well without overshadowing the furniture. This is symbolic of modern design. Without curves and decorative extras, the furniture is open and raised off the floor allowing for a light and airy feeling. Written by Christine, Decorilla’s Creative Design Expert. Her slow conversion to modern decorating style has now made her a big fan!